Clip #19 from the Richard Billings interview. Martha Smock wrote several books about healing. In this video clip, Richard Billings shares how her books were in response to her healing from cancer. Martha Smock was editor of DAILY WORD for over thirty-five years. The following is taken from a biography written approximately in 1974, after she had served as editor for thirty years. For more than 30 years, Martha Smock has served as editor of DAILY WORD, a monthly magazine of daily inspirational messages published by Uimy School of Christianity, Unity Village, Missouri. The most popular of Unity's three periodicals, DAILY WORD has grown continually since its first publication in 1924. Today, the circulation of DAILY WORD is in excess of 1,400,000 -- it is printed in 12 languages and Grade 2 Braille and mailed to 160 countries throghout the world. As editor of DAILY WORD, Mrs. Smock also serves on the Executive Cormittee of Unity School of Christianity. Born in Kansas City, Missouri, Mrs. Smock's interest in Unity began at an early age. Her mother was a close friend of the founders of Unity, Charles and Myrtle Fillmore. Mrs. Smock attended classes taught by Charles Fillmore and, after her high school and college years, she was invited to join the staff of Unity School as a letter writer in Silent Unity. (Silent Unity is the prayer ministry of Unity School which responds to more than two million prayer requests annually.) Mrs. Smock subsequently served as an instructor in the letter Writing Department and in 1944 she was named Editor of DAILY WORD. DAILY WORD'S format consists of brief daily meditations and monthly articles on various spiritual topics. Its subscribers are from all walks of life and range in age from early teens to octogenarian. Mrs. Smock feels the magazine's language, which is simple and direct and nondenominational, contributes to its success. She describes DAILY WORD as "a magazine of today. Due to our close association with Silent Unity, we are aware of the needs being expressed through prayer requests and correspondence. We endeavor to meet these needs through the DAILY WORD messages." Mrs. Smock says many readers comment on how remarkable it is that each message seems to be speaking directly to their special situation. "DAILY WORD is what it was intended to be in the beginning," Mrs. Smock says. "It serves as a daily reminder that nothing is hopeless or impossible, and reaffirms that we are spiritual beings who can meet any situation happily, effectively, and constructively." In the 30 years since she assumed editorship, Mrs. Smock's name has never appeared on the masthead. While she writes many of the messages herself, she says any people contribute to the production of DAILY WORD, and "We try to keep personalities out of the magazine and concentrate on the message." In addition to her responsibilities as editor of DAILY WORD, Mrs. Smock has witten three books, Meet It with Faith, Halfway Up the Mountain, and Turning Points, and she is an active teacher and lecturer. She is a popular speaker at retreats and conferences at Unity Village where she lectures on a variety of metaphysical and spiritual subjects. She has also lectured at Unity ministries throughout the United States. 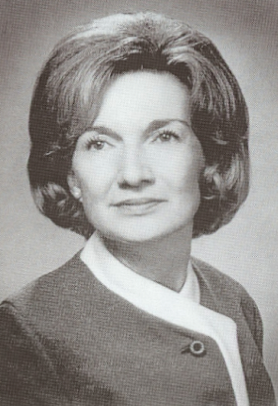 Mrs. Smock has been listed in Who's Who in American Women since 1974. She has devoted most of her adult life to the Unity movement and has brought comfort and inspiration to millions of individuals around the world. Her belief in the ideas first presented to her through Unity has allowed her to bring people from all walks of life to a closer understanding of the practical application of Christian principles in daily living. I just found Martha at a used book store and fell in loove with her love and guidance of the Lord. My family members and I have been BLESSED by the writings of Martha Smock for years. God be praised for sharing Martha with us for many years. Unity be blessed for her ministry. I am so thankful to have found Martha's book MEET IT WITH FAITH in a used book store. Timing is divine and I feel so blessed and grateful. Its messages are so simple and profound.